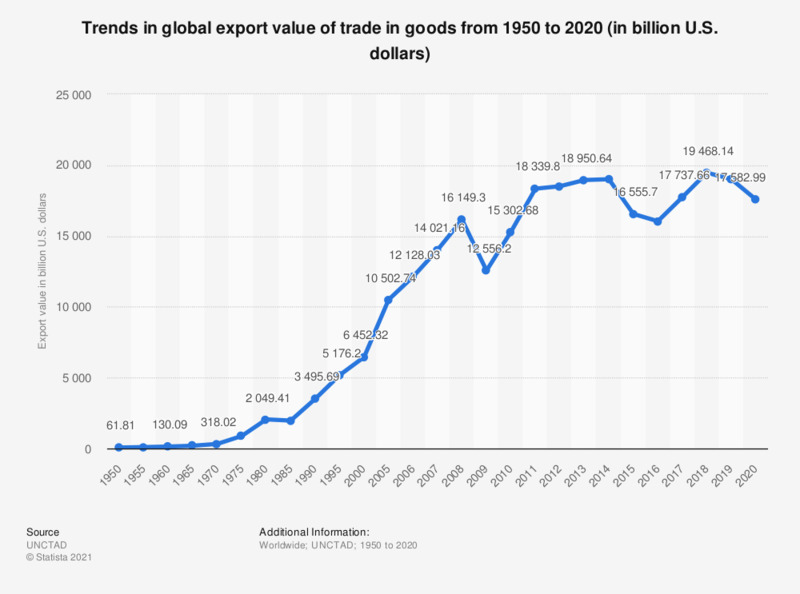 The statistic shows the global export volume of trade in goods from 1950 to 2017 in billion U.S. dollars. The global export trade volume in 2017 was approximately 17.7 trillion U.S. dollars. Global trade refers to the exchange of capital, goods and services between different countries and territories. China is the global leader in footwear exports.